GSR fabricates & refurbishes tail shafts. 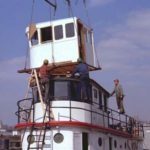 The General Ship Repair Corporation, (GSR), a fixture on the Baltimore water front for nearly a century, continues to build a strong business as it now welcomes our fourth generation ownership. 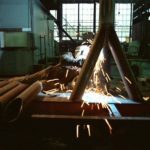 Our range of expertise encompasses afloat ship repairs, tug and barge dry dockings and industrial services (Baltimore Metal Works Division), and we are proud of having been in business since 1924. 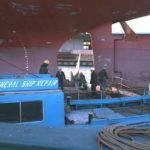 In its time the company has serviced schooners and steamships, paddle wheelers and super tankers, as well as everything in between. Today though, providing repair and maintenance service to the regional workboat market with its pair of 1,000 ton floating docks is the heart and soul of our business.